Butter an 8x8 inch baking dish and set aside. In a large saucepan, over medium heat, combine the cream, brown sugar, and salt. Bring to a boil, stirring often, and continue boiling until the candy comes to the soft ball stage. If you’re using a candy thermometer, this is between 234-240 degrees F (112.2-115.6 degrees C). If you don’t have a candy thermometer, you can drop a teaspoon of the candy into very cold water - it will form a soft ball which flattens on removal from the water when it has reached this stage. The fudge will need to boil for 10-15 minutes to reach the soft ball stage. Once the mixture has reached the right temperature, remove the pan from the heat and stir in the butter and vanilla. It will bubble up a bit so be careful. With an electric mixer, on low speed, beat the fudge for 4-6 minutes, or until it has thickened and is smooth and creamy. 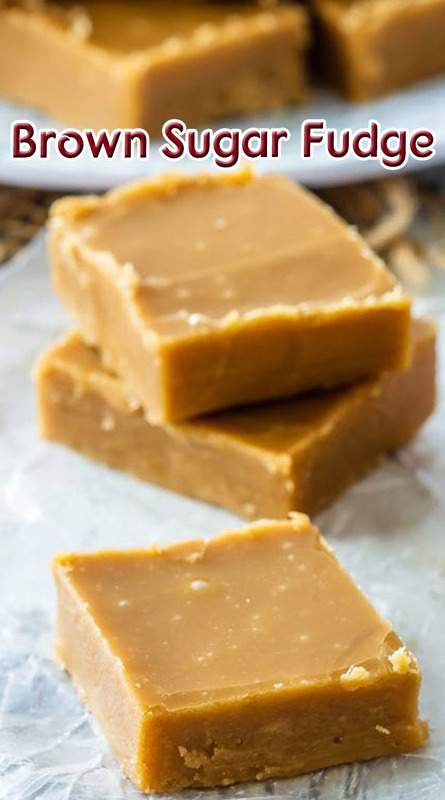 The longer you beat it, the thicker it will be, so don’t beat for too long if you want soft fudge, beat just until it has thickened (about 4 minutes). Pour the fudge into the prepared baking dish and smooth the top. Let it cool completely and then cut it into squares. Store the fudge in an airtight container at room temperature for one to two weeks, or freeze it for up to 3 months.